Some ideas simply sound good from the beginning. An example: "Do an album of modern settings of the poems of Gary Snyder." Gary managed to evoke personal, natural and social imagery in a very Zen poetic manner, and it doesn't take a stretch to see that he would be a good choice for song treatment. But has anybody done worthwhile work in this area? The answer is yes. On Cold Mountain (Innova 795) features settings by four (modern, obviously) composers and each piece is highly evocative. In the hands of contralto Karen Clark and the Galax string quartet, listening is a moving experience. Karen Clark has a very beautiful vocal instrument that she harnesses without undue pathos to the mystically concrete world of Snyder. The Galax Quartet evokes just the right combination of Americana-meets-Cosmicana these pieces bring to our ears and hearts. The results are magical. And so what of the compositions? Some composers may be unfamiliar to most listeners. The music speaks to us, however, with directness and beauty. Fred Frith (usually known as an improvisational guitarist) turns in a mysterious yet homespun-sounding "For Nothing." Roy Whelden's "Cold Mountain Songs" are haunting. "The Bubble of a Heart" by Robert Morris has a little gossamer and a little modern grit. "For All" finds W. A. Mathieu with a six-song suite that is both declamatory and dramatically diverse, in a reflective and sometimes indignant mood-mode. The total effect is considerable, lyrical yet tied to earth, filled with exquisite beauty yet also with an over-riding search for meaning in the everyday details of experience. The composers reflect the poet; the performers reflect both. The meld between poet, composers and performers is as close to ideal as you are going to find today. I'd say it's a masterpiece, but people who read blogs might suspect I am overpraising, as bloggers sometimes do. I am not. It's a masterpiece of its kind. 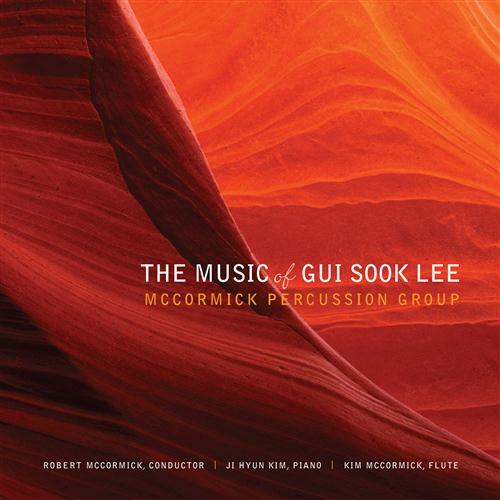 Gui Sook Lee, from South Korea, writes compositions for percussion ensemble that combine some of the open ambiance of contemporary classical with an Asian element. She also creates a classic articulation of parts such as we have heard in the pioneering pieces of Varese, Harrison and Cage. Five compositions are featured on her recording, simply titled The Music of Gui Sook Lee (Ravello 7810). The excellent McCormick Percussion Group (Robert McCormick, conductor) forms the principal conduit for realizing these pieces, with the addition of Ji Hyun Kim nicely taking on the piano part of "Stillness" and Kim McCormick gracing "Moving On" with her flute. Gui Sook Lee tends to write percussion music that pulsates in steady cadences, which allows the rhythmic-melodic potential of the instruments at hand to breathe with life and retain each individual timbre. The resultant music is sonorous, often rich in the woodiness of multiple marimbas, and more expressive than rigorously structured. The sound-color palette of Ms. Lee's arsenal tends to be bright and luminous. The playing of all involved is excellent as is the sound staging. Recommended for all who enjoy exploring the new sounds and rhythmic vitality of contemporary percussion music--and for anybody who would like some different music to enjoy and grow into aurally! Grego's Gapplegate Music Review will be transforming in the near future. All modern classical and avant garde concert CD reviews will now be posted here. The Gapplegate Music Review will continue to cover jazz and improvisation. See you soon!